Among the multitude of prog artists out today, few fly the prog label more proudly and unapologetically then The Tangent’s Andy Tillison. The Tangent are back one year after the release of their album The Slow Rust of Forgotten Machinery with the new album Proxy, out Nov. 16th on InsideOutMusic. 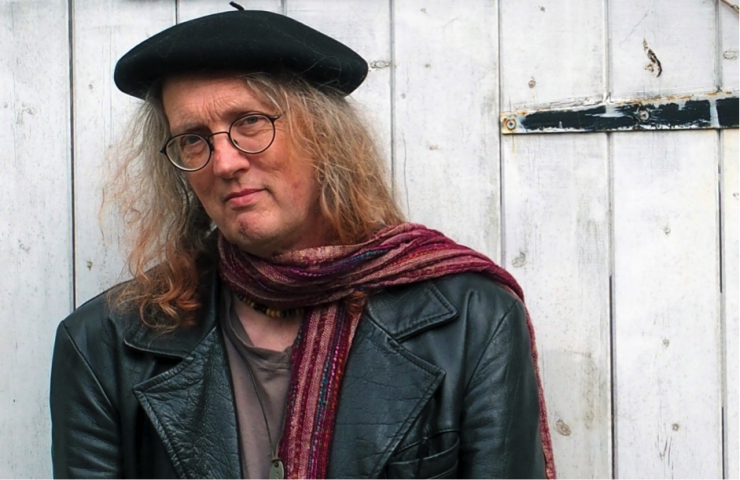 Here we catch up with Tillison and talk about the new album and the state of prog rock. You had just released the Slow Rust album last year, why such a fast turnaround? What inspired these new songs? Musically we’re still inspired by the classic prog of the 70s and mid 90s of course… that’s where we started off and it’s still a big part of what we do. We’re still big into our Jazz Fusion stuff – something that has always been there in the band’s sound but I think it’s growing into a bigger part of the whole… and anyone who hears this album will find out that we’ve also taken a major leap this time and brought a boatload of new influences in from somewhere totally different… and I am not gonna do spoilers! As I said before, the people IN the band are an inspiration, the tour was such a good thing and our new drummer and I share so many musical interests that it just begged me to write some stuff that would give him a great start playing the kind of stuff he likes. So there’s bits that are a little reminiscent of “Egg” and Bo Hansson – things we both like and enjoy – and that’s something I try to do for everyone in the band. Let them enjoy the music we’re making! The last album was a bit political, did that influence any of the material on this album as well? A BIT political?? Ha ha! Yeah… of course it was. It was written in 2016. Any album written in 2016 was written in a time of huge political upheaval, the growth of what people are calling “populist” politics but which is in effect “Far Right” politics. So in 2016 you had the choice to bury your head in the sand and ignore it, or you could write about it. We chose the latter. Some people hated us for that because they want their “Prog to be Politics Free”. Then they go and listen to “21st Century Schizoid Man” Hmmmmm…… Yes.. on Proxy there are some political issues discussed though not quite as open-throatedly as on “Rust”. The title of the album itself refers to the alarming number of Proxy Wars going on in the world today… with the big players in those wars choosing to sit back and watch the action unfold while other people (who don’t get to vote in their elections) suffer. To quote someone else “The Generals sat and the lines on the map moved from side to side” Yup. Keep politics out of prog… ha ha! Who plays with you on the new album? Worryingly we are beginning to show signs of stability!! It’s a very similar team to the last album, Myself, Jonas Reingold (on bass), Luke Machin (on Guitar) and Theo Travis (On Wind). Marie Eve chose not to continue with us on this album but the door is always open for her – and Goran Edman from Karmakanic did our backing vocals this time. We have a new drummer of course Steve Roberts and he was the big difference between the two albums. It was great for me because that was one less thing to worry about. The Tangent has always had its unique style and sound. Have you ever been influenced by any outside music you listen to? Yes of course… while I always hope that The Tangent has its own identity (I’m glad you think so) it is really the collage of influences that make a band stand on its own two feet. I remember that I sort of “designed” the Tangent way back in 2002 – I knew what I wanted to do and that was have a band that was real “Progressive Rock” but it wasn’t gonna sound like Genesis. It was gonna have the Jazz that Yes and ELP had but Marillion, Pallas and IQ didn’t have, it was gonna be an English sound, but not that posh English sound… more like the Canterbury stuff – a bit left field English. I wanted it to be funky. loose and free and based on really great players. I wanted to be able to take the band right OUT of Prog if I wanted to – but the real aim was to bring new stuff IN. I wanted Earth Wind and Fire to play as much role in our sound as Emerson Lake & Palmer. We were also going to stick with my voice – an idiosyncratic lead singer that’s not everyone’s cup of tea. So Peter Hammill, Andy Latimer, Lee Jackson would be role models for how we approached vocals. Lyrically we’d mix Joni Mitchell with Peter Hammill with Roger Waters and importantly with the the Anarcho Punk Bands like Chumbawamba and Crass. We wanted the music to tell stories, have characters and in 10 albums we’ve had more than FORTY different topics we have sung about. Some are serious, some are humorous, we wanted to have jokes in there too. I think Douglas Adams, Eddie Izzard, Alan Bennett and Monty Python have played a big role in the makeup of the band. What continues to be the driving force for you as a songwriter? ONE answer. 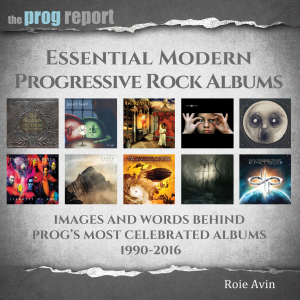 The continuation and DEVELOPMENT of Progressive Rock. While ever we want Prog to be a fixed set of rules we are consigning it to the dustbin of history. It is a VERY hard struggle getting people to accept change in Prog (ironic as that is what it was always supposed to be about) – but I still wanna bring new stuff in and make prog into a music that can still hold its head up and say it’s still alive, dynamic, reacting to the modern world of 2018 not just recalling the world of 1972. I understand fully that some people just want to hear the old stuff (jeez, I love it too) – but there is more to discover, more to do and so many more possibilities…. I always believed in this music. Since I was a kid. I still do now as I approach 60 and I will NOT give up. I just won’t do cover versions very often! Has your approach to recording changed much in recent years? 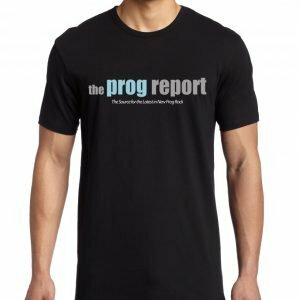 There seems to be more bands, a bit more notoriety and acceptance of the “prog” label. 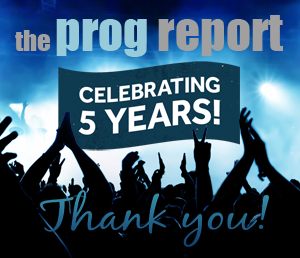 Do you feel like the prog scene has grown in the last 5-10 years? I know it has… and I was always a very keen supporter of the prog scene, went to gigs, did radio shows, got involved at grassroots level. I helped other bands and did a load of session work for usually less well known artists (being less well known than me is a bit difficult Emoticon1.gif). Since 2015 this has changed dramatically. I had my heart attack back then and since then I have decided to just focus on The Tangent and my own music. I don’t listen to much of the current Prog bands now and I’m spending most of my listening time getting to know other styles and musical forms. When we’re playing at a festival I usually try to see ALL the bands at the festival who play before us. That’s important to me. A festival is one show. We’re just a part of that show – and I like to see the rest of it! Do you plan to keep working at such a fast pace with another album next year? This is all down to inspiration and motivation. I have had a very bad year with my parents this year. My father died a couple of months ago and that was after a very long and painful illness. My Mother is 87 and has Dementia and these terrible things have taken up a lot of my time this year. At present I have no new songs written BUT…. perhaps in 2019 The Tangent will have something that doesn’t NEED me to have songs written! ?